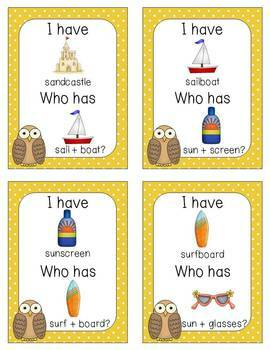 Compound Words I Have Who Has Games are a fun and exciting way for your students to practice learning compound words. This product contains 5 different sets of 28 I Have Who Has? 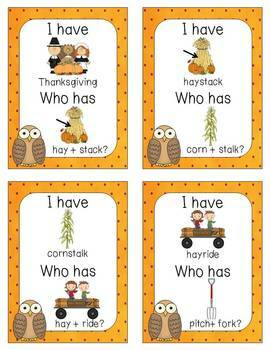 Cards around the themes of fall, spring and summer, things you eat, animals, and everyday compound words. 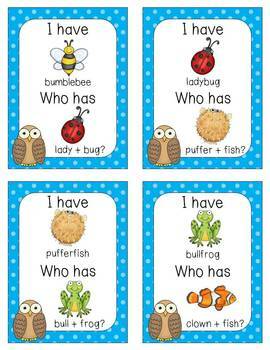 In all, students are introduced to over 150 compound words! 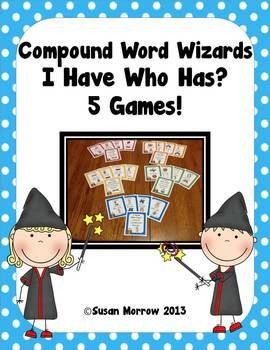 I have included a compound word poster which you can use prior to beginning the game so that all students have an understanding of what a compound word is.